Who else remembers their mum telling them off on a nice day for playing games inside? Well Nintendo and Niantic Labs have taken gaming and virtual reality to the next level. For Nintendo, not only have they seen their stock shares rise, but broken the gaming world. No longer will gamers have to wear headsets to enjoy virtual reality: instead, they can venture to their back gardens and local areas near them. 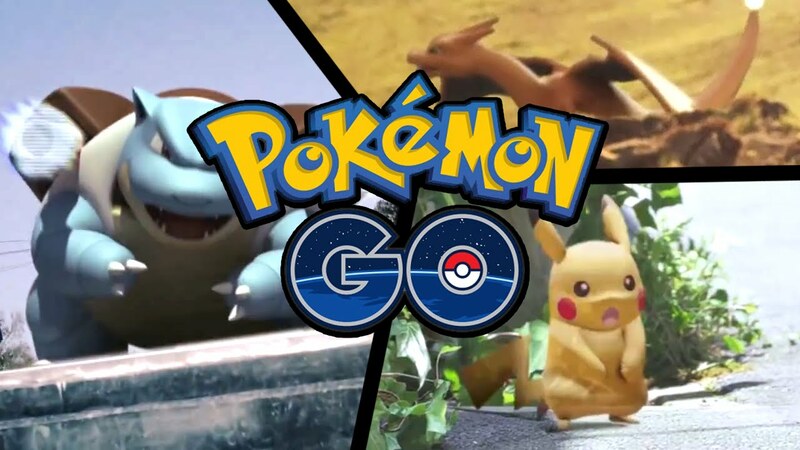 Now 20+ year olds are able to live their childhood dreams of being Pokémon masters, and newer generations are beginning to realise the magic they enjoyed as children, hunting their local neighbourhoods for the chance of catching a Squirtle, Pikachu, or a Charmander. It’s not often that a game can make you physically venture outside and enjoy it, but Pokémon Go seems to allow people to follow the adventures of Ash, Misty and Brock and go around different areas, telling you when Pokémon and rival trainers are near. For those that used to play the Pokémon games on their Gameboys, Gameboy Advances, Nintendo 64’s, Gamecube’s and so on, as well as watching the popular anime/manga series, it is a dream come true. These loveable characters are now available for people to discover, whether it be in your back garden, your neighbours garden, your local school or Buckingham Palace (not that I recommend you break into private land or Area 51 to try and find legendary Pokémon). Considering it is a free game, it is ideal for trying to convince children to go outside and enjoy the scenery and nature. With the internet being more readily available on everything, and catch up services such as Netflix meaning you can always watch something you enjoy, even if it isn’t being streamed live on television, it means children are more reluctant to go outside. But Pokémon Go is such a unique concept, that by making children or adults go beyond their own homes to catch and battle their own Pokémon, then people will do so. With the summer holidays coming up, and hopefully better weather, you can guarantee that we will be seeing more people holding up their phones in public places. Although this may be deemed as anti-social, and part of the new technological generation, the positives still outweigh the negatives. People are going to become the modern day explorers, venturing out and seeing places that they wouldn’t have done without the game. It is a bit of a shame that only a game can take people outside, but its a start. Though there are many worries over people using the app as surveillance and for a Big Brother kind of motive, it is a great concept. Children will be reliving the memories many of us had, and get to live the dreams of being a Pokémon trainer, as well as seeing monuments and different areas across the globe. Sure, it might be weird seeing people with their phones out celebrating catching a Pokémon, but will it honestly be any weirder than seeing people using selfie sticks? Previous: Shakespeare’s Verona in a day! Next: Airports that make our transit time worthwhile!